Jeremy studied for his Bachelor’s degree at the London School of Economics before reading law in Newcastle. He trained at one of the South East’s leading firms and joined Gaby Hardwicke at the beginning of 2007 from a commercial law firm in Kent, where he was Head of Dispute Resolution. Jeremy’s practice covers all aspects of business litigation and dispute resolution, with particular emphasis on company and partnership disputes, substantial debt claims, insolvency, sale of goods, landlord and tenant and intellectual property claims. 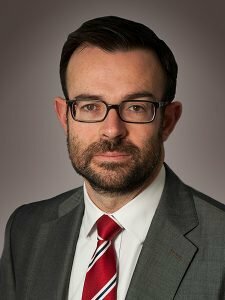 Examples of his work include acting for a premiership football club in claims against the FA and its shirt sponsor, acting for the successful claimant, Manolete Partners plc, in ground-breaking litigation under the Building Act 1984 relating to Hastings Pier, advising leading insolvency practitioners on claims and procedures in corporate insolvencies, acting in one of the first reported cases concerning derivative claims and directors’ duties under the Companies Act 2006 and representing a contractor in a successful adjudication relating to work carried out at the Olympic Park in London.